County Living!!! 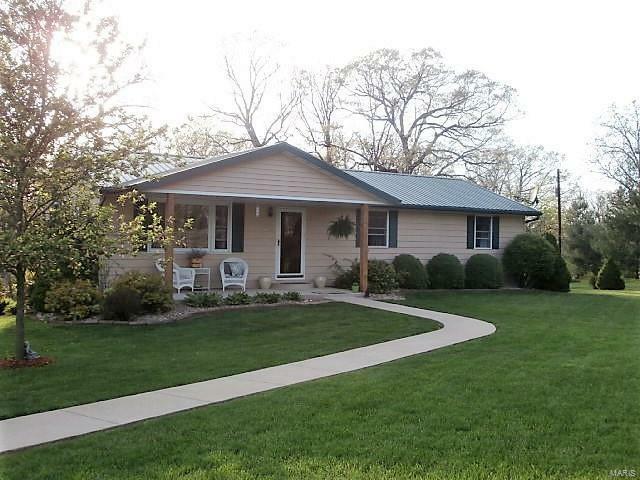 This property offers 23 +/- acres of country serenity. This 3 Bedroom1.5 bath home has been very well maintained updated and ready to move in to. Birch Hardwood Flooring in the Living Room, Dining, Hallway and Custom Maple Cabinets in the Kitchen. Kitchen Appliances convey. The Lower Level is finished to include a Large Family Room and Recreation/Sleeping Area. Large Storage area with Laundry Room and Bathroom. Lower Level walks out to the rear patio. Walk Off Deck is located off the back of the home with gorgeous sunset views. Covered Front Porch. Beautifully Landscaped yard from every angle. 40x50 Detached Garage has plenty of room for multiple vehicles and storage. Concrete Floor. Additional Workshop/Den attached and 18ft wide Lean to. 2 Closed livestock sheds and 2 open sheds on the property. Palmyra School District. There is approx 5-7 acres of pasture and the balance is woods/timber. Call for your tour today!!! !